90 teams traveled to compete in the 2018 Arkansas High School State Championship on May 6 for the titles and the coveted spots in the 2018 National Championship. 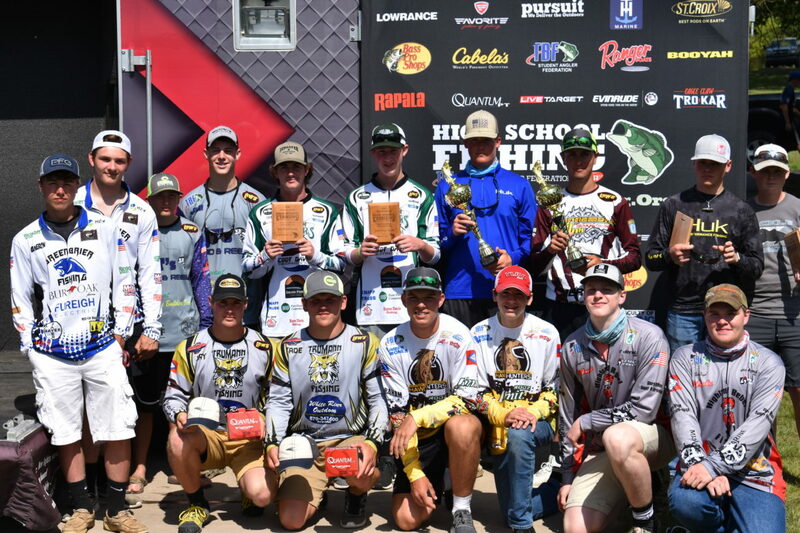 Nine teams advance to the national contest held in conjunction with the High School Fishing World Finals, June 26-30 on Pickwick Lake in Florence, Ala.
Anglers were greeted with warm, spring temperatures. Most anglers found fish shallow in around 3 feet of water and reported a solid bite. Others even found success “sight fishing.” Several different baits were used most popular were jigs, plastic creature baits and small square-bill crankbaits. In total, 24 teams brought five bass limits to the scales. Pennington and Arnette had a limit of bass weighing 19 pounds 3 ounces. “For us it was all about the angle we showed the fish our bait. If you didn’t bring your bait at the exact angle they wouldn’t take it. They caught the early bite and hoped all day it was enough for the win. Turns out it was and both walked away 2018 Arkansas High School State Champions. Both will advance to the national event this summer. Coming in second was team Gavin; that would be Gavin Webb and Gavin Pennington from the NWA Young Guns. Team Gavin had a limit of bass weighing 15 pounds 1 ounce. 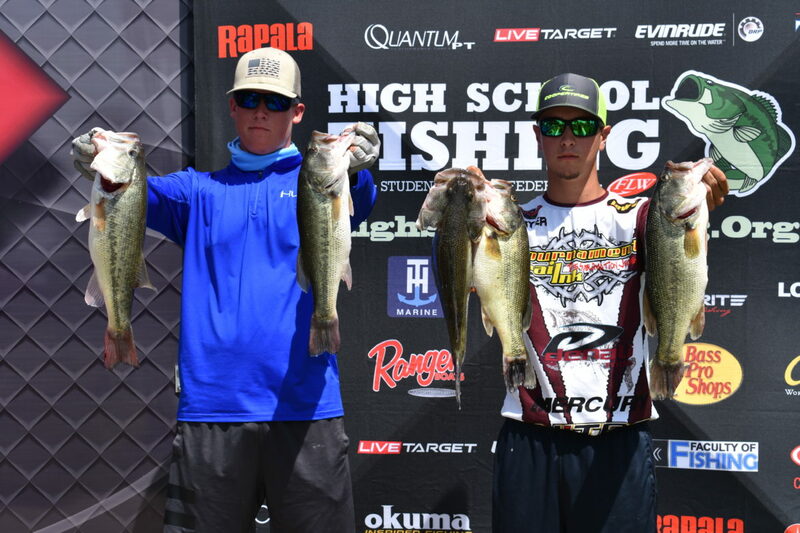 In third place was the Westside team of Tanner Fife & Tristen Cottrell with 14 pounds 10 ounces. 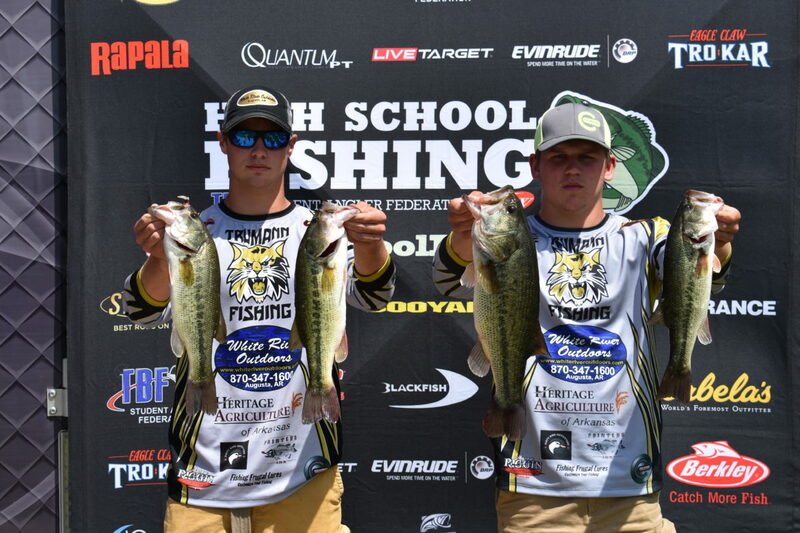 The NEA Youth Fishing team of Jay Morgan & Cade Gartman took fourth with 14 pounds 8 ounces. Rounding out the top five were Johnathan Pipkins & Malachi Thornton with 14 pounds 7 ounces. Big Bass honors went to Jay Morgan & Cade Gartman with a 5-01 pound beauty. They received two fishing reels for the lunker of the day.